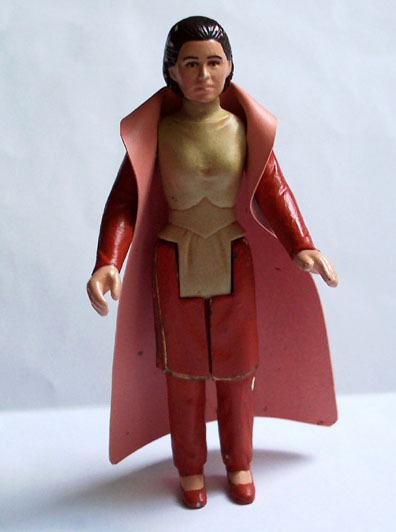 The Princess Leia Bespin action figure debuted as part of Kenner's Empire Strikes Back line on the 31-Back card style. The prototype version featured here is referred to as a hardcopy. Urethane figures of this nature were meticulously painted for use as photography samples, industry show display samples, and as paint masters. The above two images show the hardcopy in a disassembled state. 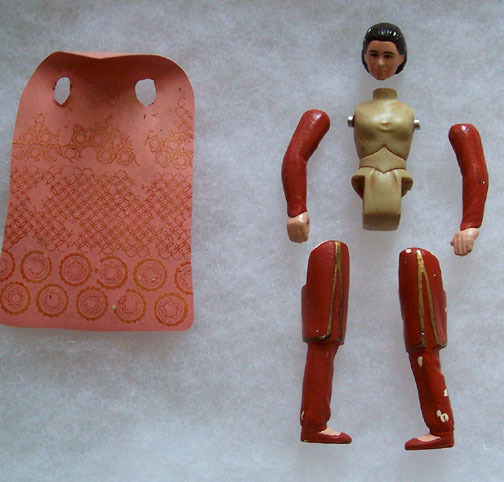 Each hardcopy part is hand-cast from an individual mold. 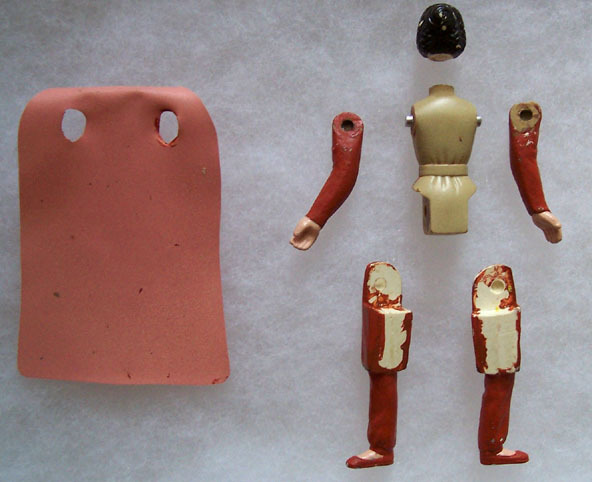 Six individual silicone molds were employed to cast this and other basic figures. The cape is entirely hand-cut lending additional appeal to this hardcopy. 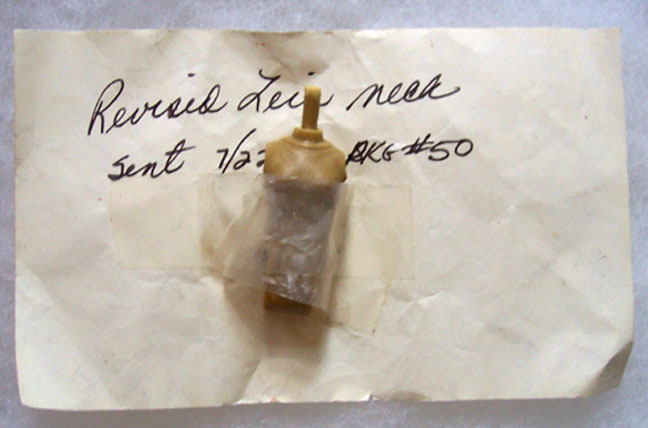 The painted hardcopy is accompanied by an additional unpainted torso (alternate sculpt) taped to note indicating the presence of a revision in the neck region. The final image shows the entire kit and kaboodle displayed in a single image. It's undoubtedly a superb prototype and nicely illustrates that owner, Broc Walker isn't just a "one character wonder" when it comes to prototype collecting.